Cue Tone Indexing (Record)—With SONHU80. Conference/Dictation Mic Switch—Automatic Gain Control. 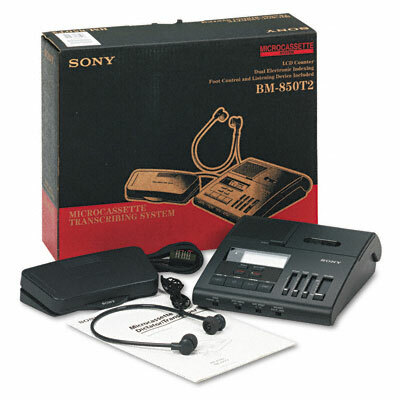 Full Logic Microprocessor Mechanism Tape Counter—LCD Quick Erase End-of-Tape Warning Cue Tone Indexing (Record)—With SONHU80 Telephone Record Capable Conference/Dictation Mic Switch—Automatic Gain Control.